Frank Brogan (pen.) (88)	 None. This was United's third match in just 4 days as they faced up to another English side as part of their pre-season preparations. Having lost the first two matches, United were keen to make amends at Portman Road. United were back in their tangerine kits after wearing the Millwall blue the previous night. The team was also reshuffled and almost at full strength. 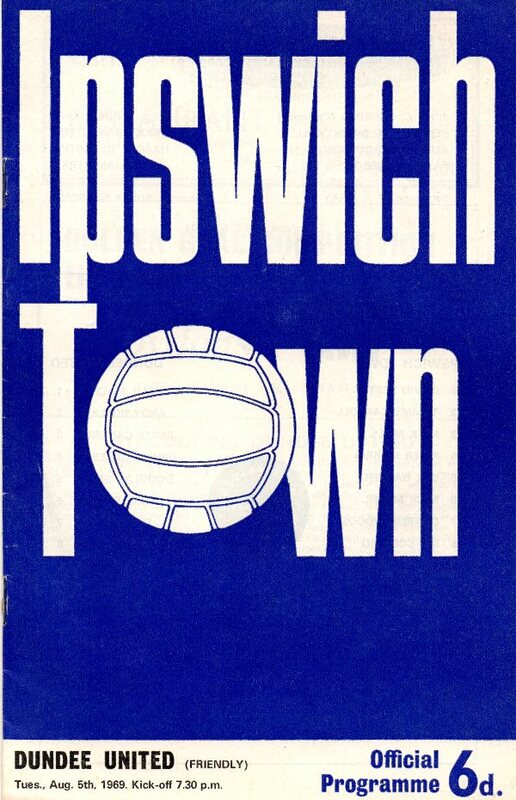 Ipswich were first to be dangerous. In the tenth minute centre half Baxter came up for a corner and Mackay did well to save his rasping header. United produced an opening soon after. Gillespie came up to take a cut back from Hogg and hit a tremendous 30-yard drive which had Best at full stretch to push round for a corner. Three minutes later and there was another near thing for United. A Mitchell slip put Scott through but the keeper threw himself at the centre's feet to save a certain goal. Ipswich took the lead in 30 minutes with a good goal. The defence made a mess of a couple of good chances to clear and right half Morris headed to John O'Rourke who was standing with his back to the goal. The inside man chested the ball down before wheeling to whip the ball in at the near post. Scott had two good tries for United before Rolland saved the day at the other end with a last ditch tackle on Wigg. But the Englishmen were not to denied. In 42 minutes Ron Wigg slashed home a low centre from the right-winger Vilgon, with United's defence in a dither. The second half resumed with United getting their best chance of the match. A Hogg cross beat the Ipswich defence to drop at Mitchell's feet, but the inside-left shot straight at the keeper. Seconds later Mitchell hit the crossbar with a header. MacKay had another brilliant save from a Collard 20 yarder, and still another equally as good from Brogan. Best then saved well from a Mitchell free-kick. 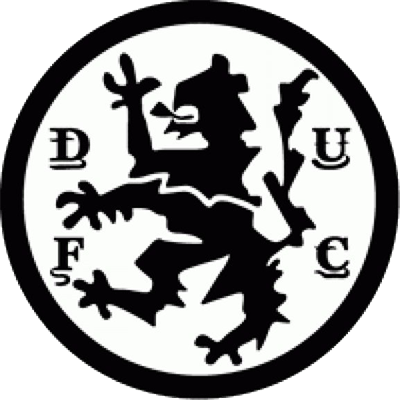 Doug Smith, who had been outstanding so far on United's English tour, moved up front to join the attack. He almost made an immediate impact as he passed to Scott who narrowly missed the target with his effort. Three minutes from time and Mackay made another great save from right-winger Brogan. But a minute later, with the defence caught wide open, the keeper brought down O'Rourke after the inside-man had rounded him and was all set to score. Frank Brogan made no mistake from the spot to give some idea of Ipswich's superiority against a very jaded United. It meant United were beaten for the third successive time by English opposition in the same week. The situation didn't auger well for the Fairs Cup tie with Newcastle that was looming on the fixture list.